Last year, we spoke to you about the incredibly priced seat covers offered by Isuzu’s FleetValue program. This year, we thought it would be a great idea to talk about the seats themselves as well as other maintenance parts FleetValue offers. As I’m sure we all know, the base of a seat is worn down the most. A typical driver seat, the backrest and base pieces, would cost you somewhere around $1,200. A seat from FleetValue, which offers genuine Isuzu take-off drivers seats, is less than half that price at around $525. And those come ready to install! Why spend the full price on something when you can get OE quality and OEM parts for a cheaper cost at FleetValue? Doing routine maintenance on your truck will extend the longevity of your vehicle for many years to come. That’s why Isuzu’s FleetValue program has a whole assortment of maintenance and replacement parts available for your truck. 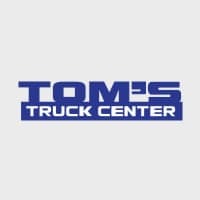 Parts for your engine: air filters, oil filters, fuel filters, connectors and terminals, belts, radiators, and water pumps. But other valuable parts like DPF’s, brakes, side mirrors, and tires. All parts are backed by a limited warranty of 12 months/unlimited miles too!